ATV Wild Ride 3D is an adrenalin charged racing game on the Nintendo 3DS. 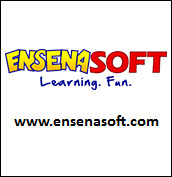 This downloadable action packed little game offers a variety of different activities for $7.99. There are twenty-four tracks, and four major game modes in ATV Wild Ride 3D. 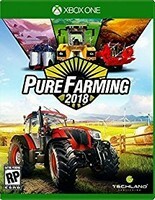 The game modes are World Tour, Quick Race, Freestyle, and Time Trial. The very first thing I noticed about ATV Wild Ride 3D is how great the 3D graphics look. It is insane how well we can see down the tracks in this 3DS off road racing title (Note: surfaces other than dirt are found in this game). The details look good for a hand held, and there are no violent crashes. The game resets if you make a mistake. The second thing I noticed about ATV Wild Ride 3D is the loud, in your face music. 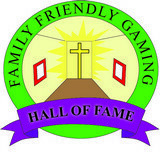 There are two camps here at Family Friendly Gaming. Those that like the music in ATV Wild Ride 3D, and those that can not stand it. I had difficulty understanding the singers to keep track of their lyrics. The music can be turned down, and even off. Players earn points for the tricks they perform. Those can build up into a quick little boost. If you race smart in the early races you will not need that skill. Once you hit the medium difficulty track courses you better learn how to build that boost up. Otherwise you will find yourself on the lower end of the spectrum. ATV Wild Ride 3D has a long list of unlockable content. This includes tracks, tours, racers, ATVs, and more. 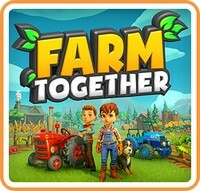 If you completely dominate ATV Wild Ride 3D, then you can go and compete against others locally or online. The online mode is going to seriously interest the competitive gamers. 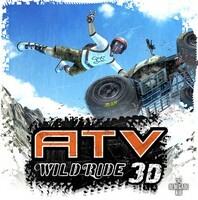 ATV Wild Ride 3D is more solid and put together than most retail ATV racing games on the Nintendo DS and Nintendo 3DS. Plus it is about a third of the price. ATV Wild Ride 3D is worth the price of admission in my humble opinion.